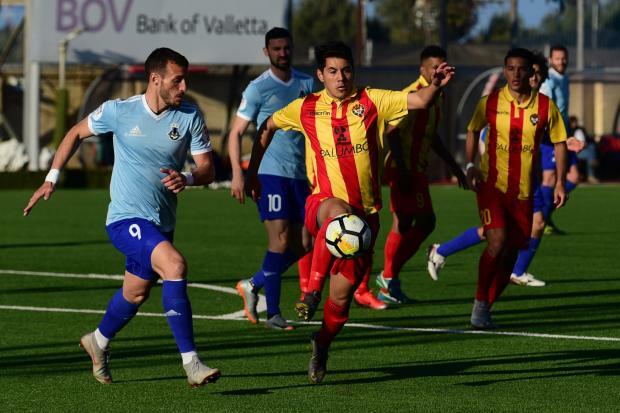 Senglea Athletic collected another precious point in the race to avoid the play-off spot as they held Sliema Wanderers in a goalless draw in a rather drab encounter. Senglea were clearly a better side during the first half and on 16 minutes, Diego Venancio went close to putting them ahead with a powerful freekick from the left which ended just wide. Leighton Grech’s cross shot from the right was parried by Timothy Grech on the half hour. Six minutes later, Taisei Marukawa entered the penalty area from the left and rounded a number of defenders but his conclusion was parried by Aquilina. The Wanderers improved in the second half. They held the initiative for long stretches but the Senglea rear-guard kept their forwards under control. On 74 minutes, Ryan Fenech tried his luck with a shot from outside the area ending just wide. Three minutes later, Marzouk advanced on the left before serving Ignacio Varela whose conclusion ended high. In a counter attack for Senglea on 78 minutes, a Matias Garcia effort from outside the area was parried in two attempts by Aquilina. Four minutes later, the Sliema custodian came to the rescue as he blocked an angled shot by Marukawa from the left. Four minutes from time, Venancio hit high from a freekick and three minutes later, it was Younes Marzouk’s turn to try his luck from another freekick but the French striker’s effort also ended off-target. Finally, in added time, Matthew Farrugia neutralised an attempt by Alex Muscat from just inside the area following an assist by substitute John Mintoff.